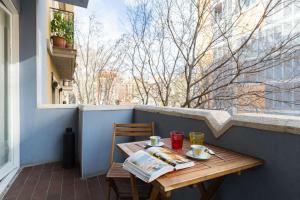 Flat Top Manger apartment is located in central Barcelona, 500 metres from Urgell Metro. It offers free WiFi, air conditioning and a furnished balcony. The apartment has a spacious living room with a sofa bed and TV, and the kitchen comes with a dishwasher, hob and microwave. The bathroom is equipped with a bath tub. You can enjoy city view from the balcony. 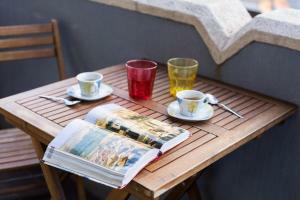 Guests will find many shops, supermarkets and tapas bars in the surroundings of the apartment. 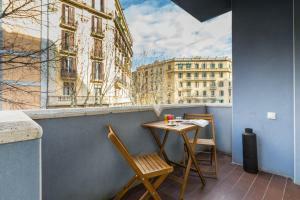 Flat Top Manger is a 20-minute walk from Plaça Catalunya Square and Las Ramblas Boulevard. Paseo de Gracia with its fashion boutiques and Gaudi's Casa Pedrera is 2 km away. 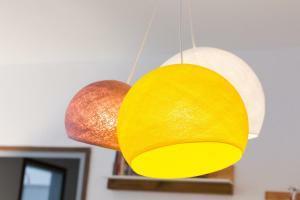 A security deposit of € 300 is required upon arrival for incidentals. This deposit is fully refundable upon check-out and subject to a damage inspection of the accommodation. 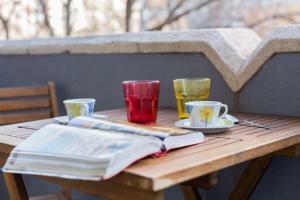 This apartment offers free WiFi, air conditioning and a furnished balcony. It has a spacious living room with a sofa bed and TV, and the kitchen comes with a dishwasher, hob and microwave. The bathroom is equipped with a bath tub. You can enjoy city view from the balcony. Rate: € 200.00 ... € 700.00; select dates below to get current rates.